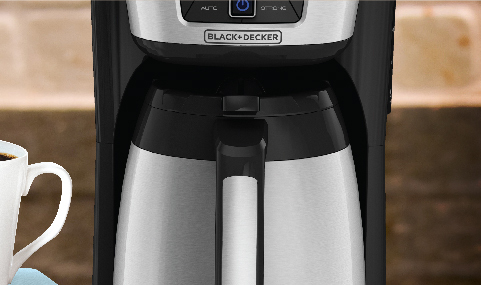 Get your fix throughout the day with the Black & Decker 12-Cup* Thermal Coffeemaker. The stainless steel thermal carafe is vacuum-sealed to ensure your coffee stays hot and drinkable for hours, and the Perfect Pour spout does away with spills and drips. The easy-to-use digital controls include a setting for batches of 1-4 cups*, which maintains the flavor you get with a larger brew. Plus, you can choose the strength of your brew no matter how large it is, with settings for regular, strong, and bold. As an added feature, the LCD display includes a fresh brew timer that indicates how much time has passed since the coffee was brewed, up to 120 minutes. No matter how groggy you are in the morning you’ll easily find the large, clearly marked buttons that control each function. The Evenstream Showerhead dispenses water evenly over the packed coffee, extracting maximum flavor and wasting less. The washable brew basket can easily be removed and washed after brewing, and is top rack dishwasher safe. The Sneak-A-Cup feature temporarily stops the flow of coffee so you can pour your first cup before brewing ends without making a mess. You can choose the strength of your brew no matter how large it is, with settings for regular, strong, and bold. 12-Cup* Thermal Coffeemaker, Black & Silver is rated 2.9 out of 5 by 415. Rated 5 out of 5 by debbiemomofsix from I love that my coffee stays nice & hot! :) I received this as a gift and have loved waking up to hot coffee. The thermal carafe allows me to enjoy hot coffee at my leisure. Recently I noticed I was having to press the button to complete the brew cycle (sometimes more than once). This morning the lid completely came apart. I’m thinking it’s been the issue all along. I’d like a new one so I can continue to use my wonderful coffee pot, but haven’t found a “replacement” when I searched online. 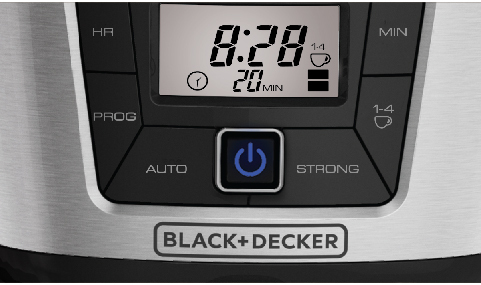 Rated 5 out of 5 by jimkr56 from Update on my review This is an update on my review of the Black & Decker thermal coffeemaker. I have two of these models and had a problem with the carafe lid, which I had posted a review on. The original review stated I liked how quick it made the coffee and kept the coffee warm in the carafe but had an issue with the lid breaking. Since then I have been contacted by Spectrum Brands, who make the coffeemaker, and they asked me for some info on my unit. I received an email that a new carafe lid is being sent out, this is great customer service. I am now changing my review to a 5 star as I liked the unit before other than the lid issue. Rated 1 out of 5 by NAtteberry from Poor product This coffee maker was given to us for a wedding present. At first it seemed like a great product, as we continued to use it we started to have problems. We have only had this product for less than 6 months. The coffee drips out of the pour spot and also will brew a cup of coffee then stop brewing. We have to continuly push the power button to get it to brew a full pot after ever cup that has been brewed. I am very disappointed in this product and upset that I have to purchase a new coffee pot. Rated 3 out of 5 by April27 from Love/Hate Relationship We bought this over a year ago and have absolutely loved it until yesterday when it started only brewing 2 cups at a time. It flashes "CL" and we have to continually push start over and over and over to get a full pot. I've run 4 separate vinegar rises through to no avail. Rated 2 out of 5 by Wingbone from Would not purchase again! This coffee maker is just ok. It replaced a previous version of the insulated carafe model that lasted 12 years. 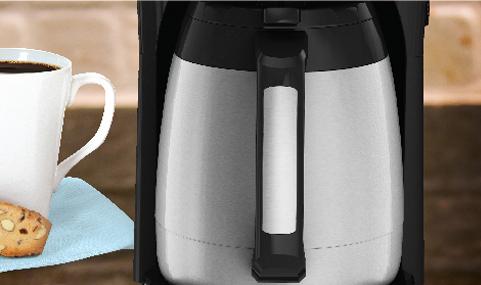 The main complaint is the insulated carafe - when pouring a cup of coffee, the coffee drips from the spout. We have to place a dish towel under the carafe while pouring to avoid a mess on the counter top. Rated 1 out of 5 by SDTurner719 from Stops brewing! We got this as a holiday gift and starting 2 days ago, it stops brewing after cup or two. We have to stand there and keep pressing the on button for a full (eventually) pot. We have tried to clean, unplugged and it still does it. Of course my mom did not keep receipt. Crazy disappointing! Rated 3 out of 5 by Vivkoz from Weakness in lid design Lid broke within the month. Should have replacement lids on shelf next to the pot! Rated 4 out of 5 by MRSADBROWN from Good machine, unbreakable carafe. Got this about 4-5 years ago, few issues. After seeing other reviews, I guess I've been lucky. Looking for new seals to keep it going! 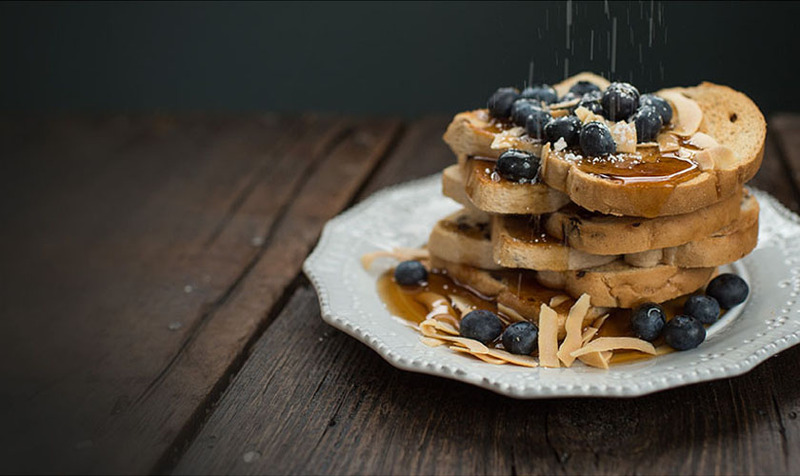 Hi, I just need to get the carafe for this coffee maker. Will straight vinegar resolve a shutting off early problem on &quot;strong&quot; setting if descaling per manual does not work? This refers to a CM2035B coffee maker. Love the coffee maker, but we've broken the lid to the thermal carafe. Is it possible to buy a replacement for part # CM2035-03? Brews for about 10 seconds and then shuts off. Cannot find any solution.